Today President Barack Obama visited Miami, Florida where he is trying to drum up public support for a plan to reinvigorate the economy. He opened his speech with an "icebreaker" - joking with the audience regarding (his hometown) Chicago Bulls who recently defeated the Miami Heat - thus putting to an end the second longest win streak in NBA history (27 games). 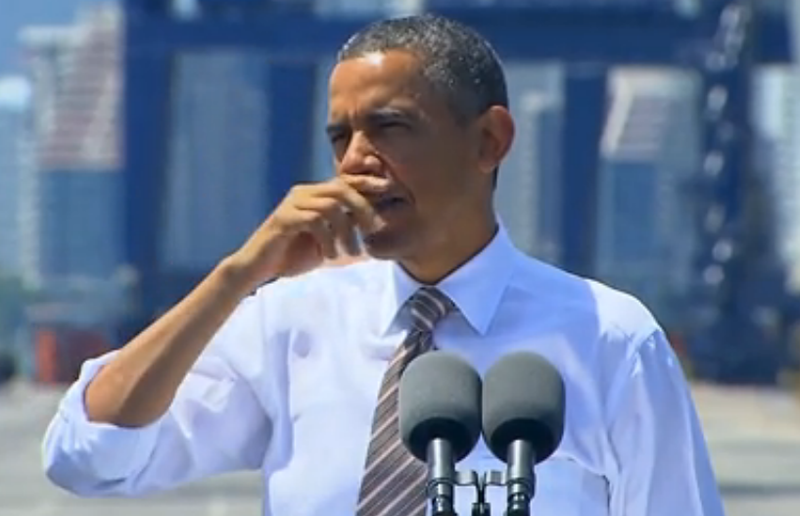 During the 0:10 - 0:11 segment of the video, POTUS rubs his nose (imaged below). This nonverbal tell indicates deception. On some level there is a low-level form of lie taking place. The President is saying something like, "I can't believe I just used this line on this crowd" in his own self-talk/internal dialog - and yet still he did so. This is a form of a self-deception and emotional conflict. When such "white-lies" are told - most all recognize these as a form of hyperbole. Yet they are still lies - and his body language reveals such. Lower level lies often are manifested by MAPs committed with the non-dominant hand. 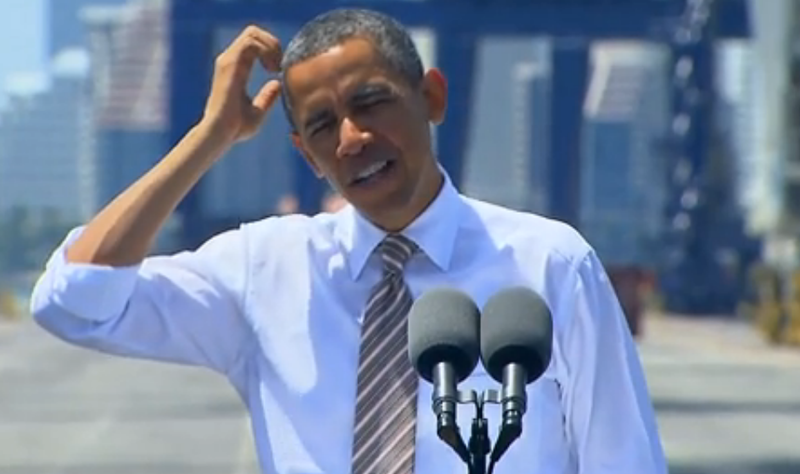 Here the President reveals it's a small fib he's told to himself, because he uses his right hand. He tends to reveal whoppers to us with his left hand. You do the same if you're a southpaw.